When you agree to play a revered comic book icon like the Flash, then you better resign yourself to lots of studying. 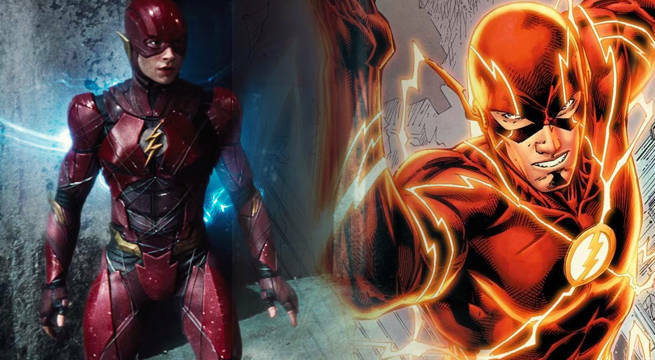 The DC Comics speedster has fans all over the world who would hate to see his live-action counterpart fumble, and no one feels that pressure more than Ezra Miller. The actor is set to play Barry Allen in the DC Extended Universe, and he will suit up with the likes of Batman and Wonder Woman in Justice League. So, naturally, Miller has been real busy reading up on his comic lore. In an interview with Collider, Miller spoke about his work on The Flash and revealed how he created his iteration of Barry Allen. “I’ve been investigating and composing the character since the moment I started considering doing the screen test,” he said. While much of Miller’s research on The Flash has been firsthand, the actor is not afraid to seek advice from outside experts. So, it is a good thing that DC Films CCO and famed comic writer Geoff Johns is around to help him out. Clearly, it seems as if Miller has his feet firmly planted in the DC Universe. That news is definitely reassuring to fans who began worrying about The Flash this month. Not long ago, director Rick Famuyiwa confirmed he was exiting the project - making him the second person to do so. During his interview, Miller briefly mentioned the director’s abrupt exit. "I think that the most important quality is the open heart," Miller said. "I think that The Flash has to be a story that is heartfelt. Because I think that's where the lightning really is." Without a director, it is looking more and more likely that The Flash will be delayed from its March 2018 release, perhaps allowing Aquaman to take the premiere date instead. But, with Miller behind the camera, fans are feeling confident that The Flash won’t break a sweat anytime soon. The Flash is currently set for release on March 16, 2018.